Offering you a complete choice of products which include water decoloring agent, decoloring agent and decol 101. We are offering a wide range of Water Decoloring Agent. Decoloring Agent is unique wastewater decoloring agent especially for textile printing, dyeing, paper making and ink effluent. Decol 101 shall be diluted with 10 -30 times water and then dosed into the wastewater directly. 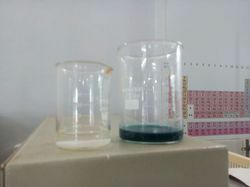 The pH of the wastewater should be adjusted to 6-10 for the better result. 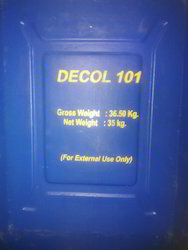 We are offering a wide range of Decol 101.